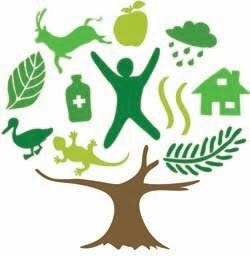 The United Nations General Assembly has declared 2011 the International Year of Forests. Almost half the world's original forests have been destroyed, most during the past three decades. 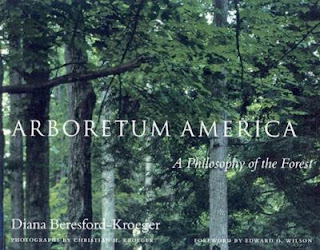 In Arboret um America: A philosophy of the forest, author Diana Beresford-Kroener describes 20 different tree groups and how these specific trees can be used to promote health and to counteract the effects of pollution and global warming. 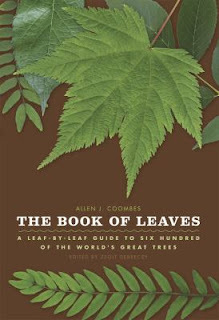 The Book of Leaves by Allen J. Coombes is a leaf-by-leaf guide to six hundred of the world's great trees. The leaves are reproduced at their actual size. 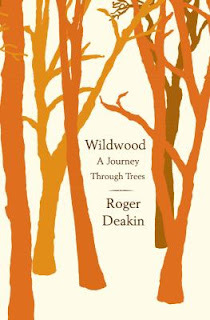 Wildwood: a journey through trees is the last book by British nature writer Roger Deakin which was published after his death in 2006. 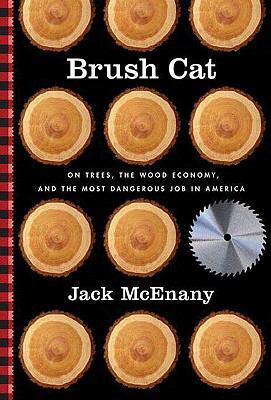 In his travels he meets artists and scientists who work with forests all over the world. Brush Cat: On trees, the wood economy, and the most dangerous job in America byJack McEnany, recounts a year in the life of men who perform one of the most dangerous jobs in America--logging New England's vast forests for timber used in hundreds more ways than most realize. 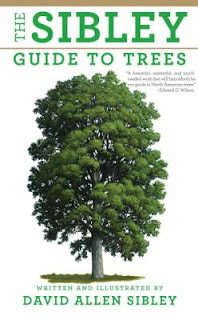 Th e Sibley Guide To Trees, written and illustrated by David Allen Sibley, identifies more than 600 tree species in North America. 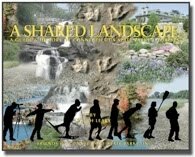 A Shared Landscape: A guide and history of Connecticut's State Parks and Forests by Joseph Leary, published in 2002, contains descriptions, photos and maps of 92 Connecticut state parks and 32 state forests.